Roof Painting and Restoratio­n for Residentia­l and Commercial Properties­. Price Specials supported by a Profession­al Service and Guarantee. Anytime. Please text, email or call Craig /Tom on 021 1481978 with address for us to come and view for free quote. Proud to be kiwi owned and operated. 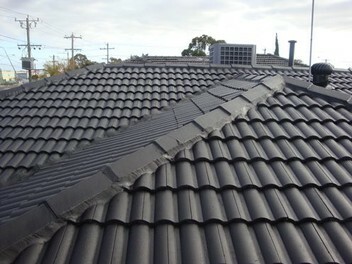 We have over 15 Years Experience in repairing and painting roofs and houses in Auckland. We pride ourselves on being very respectful and easy to deal with, while offering the best possible workmanship to my customers. Give us a text, email or call to get your free quote! - Moss and Mould treatment, Waterblast. - Fixing of Holes, Rust Repair, Cracks, Pointing and Mortar. - Resene Galvo One undercoat or Apco Concrete Sealer where required. We guarantee all of our work & the paint job comes with a 10 yr warranty. Nice to deal with. Good communication, Good service. Will recommend. The guys went above and beyond. Great job, would highly recommend. Craig and Tom painted our concrete roof recently and did an excellent job, highly recommended team Prompt, competitive, hardworking and honest. AAA+++ - Would highly recommend Craig and Tom. They did a very good job and were very professional. They communicated well and work was carried out in a timely manner.